They are witnesses of a success story. 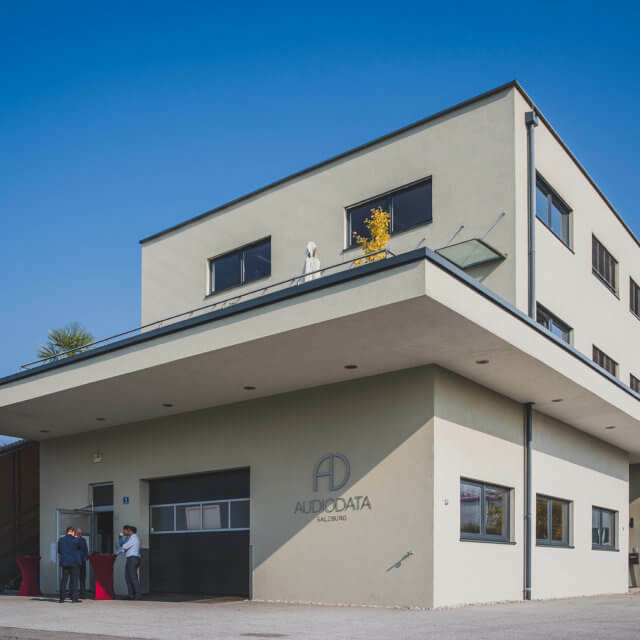 The Audiodata “Classics” received high praise on their appearance in the trade press and were admired for their technical superiority. 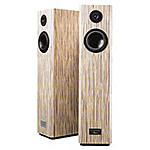 These models form the basis for the continued success; announced editions are consistent further developments of previous loudspeaker systems by Audiodata. The partactive predecessor model of our Art One. 3-way speaker, sealed housing in the base range, active sensor-controlled individual regulation of the woofers, MDF construction with wall sound-proofing through steel ball-filled inner chambers, distinct and high-quality housing materials matched to provide optimum resonance. The partactive previous model of our Master One. 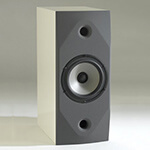 3-way speaker, sealed housing in the base range, active sensor controlled individual regulation of the woofers. 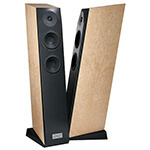 The actively regulated low bass module Soutien 2+ and Soutien 4+ are clearly a cut above the subwoofer standard class. They not only spectacularly support the rendition of deep and deepest sounds, but also impressively upgrade spaciousness, tonal depth and credibility of the representation. The Sculpture gives new dimensions to previously accepted limits and defined benchmarks. 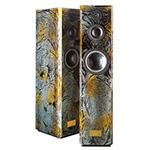 As a true reference speaker, Sculpture masters any music style and competently renders even large symphony orchestras and vast concert halls. 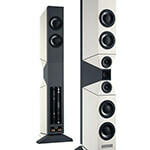 Six powerful, incorporated output stages are managed by the high performance base range. 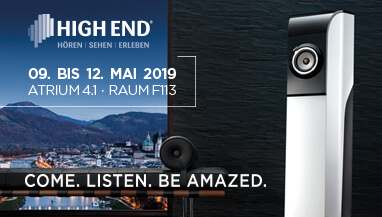 A high-tech chassis and a long-stroke woofer with aluminium membrane ensures perfect sound also at short listening distances, which makes the Pierrot the ideal speaker for smaller rooms. 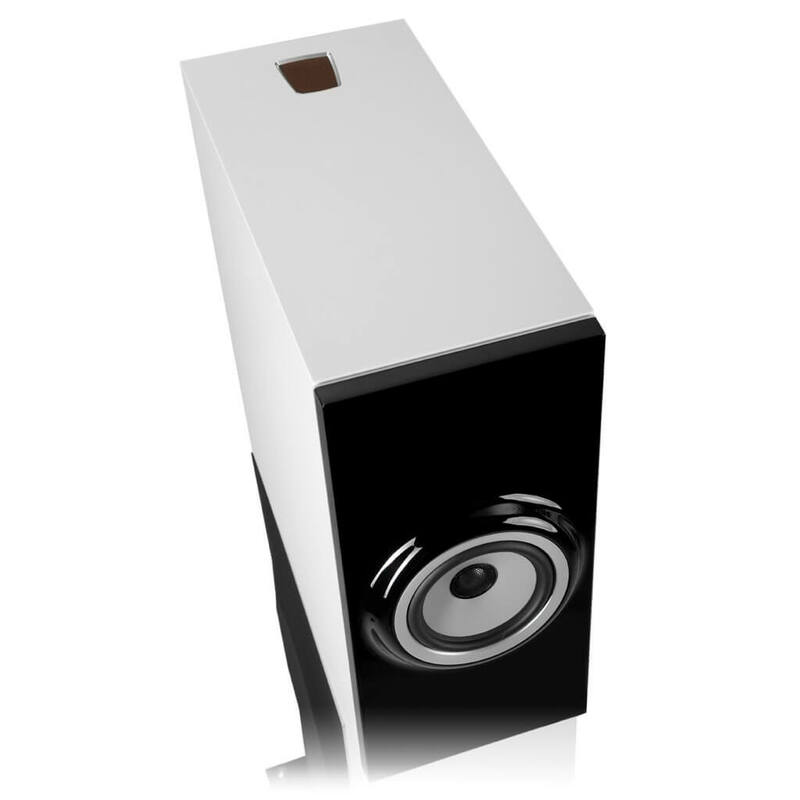 A multifunctional small speaker with dual coaxial driver and magnetic shielding. 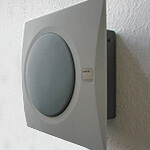 Perfectly suited for multi-path systems, as surveillance monitor or as a classic speaker in small to medium size rooms. 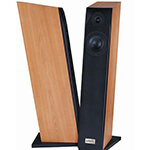 With its trapeze-shaped footprint and the matching, open and delicately designed pedestal, it pleasantly sets itself apart from the humdrum of conventional speakers. Added to this are the internal values such as selected pairs of chassis and individually computer-simulated frequency crossovers. A compact multi-talent with surprising bass foundation which is suitable for almost any occasion and very convincing in matters of high level stability. The mechanics of the body and the aerodynamic of the bass reflex channels as well as the damping were refined in the Partout II. Also the frequency crossover was revised. Mignon combines virtues such as homogeneity and fine resolution at the highest level with limited dimensions and outstanding design. The innovative baffle board cast from poly-quartzite is a dominating eye catcher. 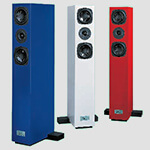 Equipped with a newly developed broadband chassis, Jolie provides space, timing and homogeneity at the highest level. 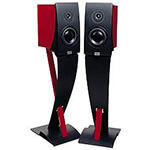 In addition, this concept allows perfect listening also at short distances. 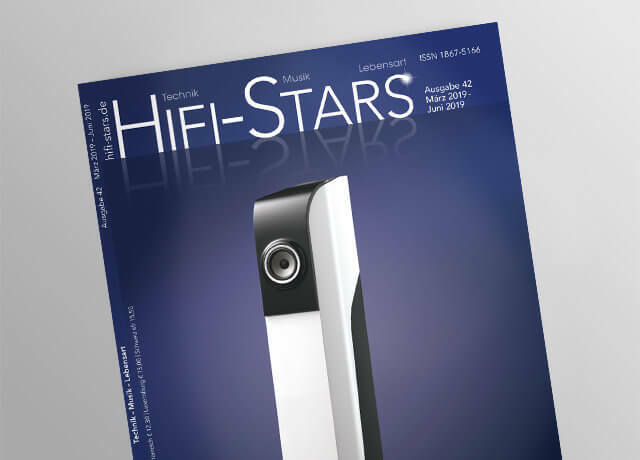 The interaction between high quality components stands for a fine resolution, yet with a sound pattern with a high-level of stability and a high fun factor. 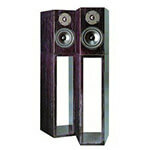 Filou was revised for HIGH END 2002 and the new model was christened Filou II for better distinction. 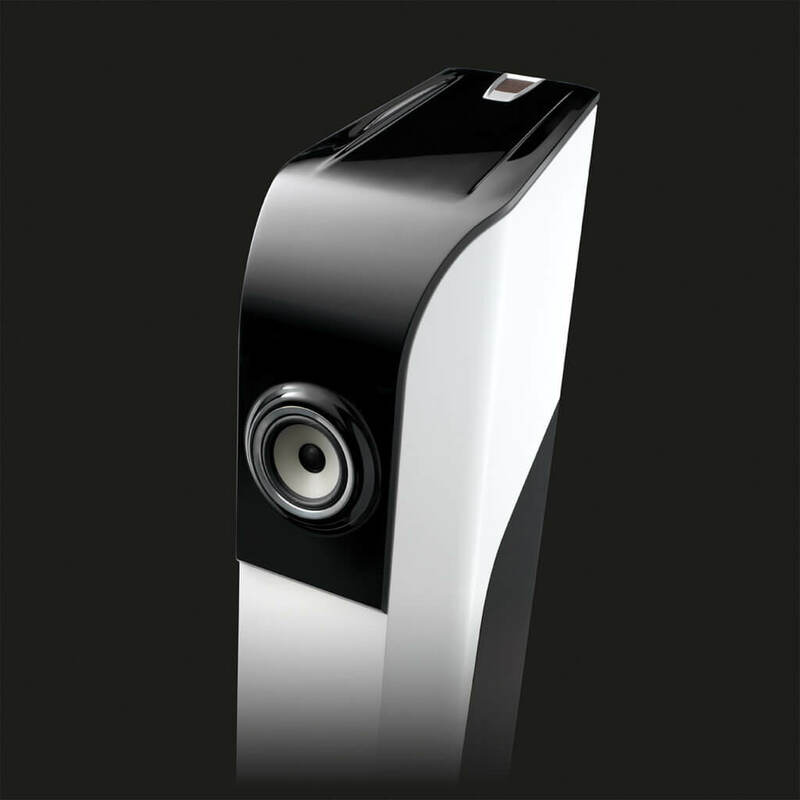 All details were revised for the Elance model in order to create a fascinating speaker. 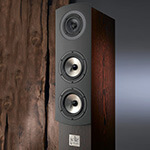 The result: Elance advances into new dimension of musicality and naturalness. 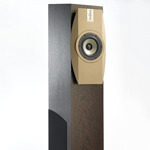 Elance was revised for HIGH END 2002 and the new model was christened Elance II for better distinction. 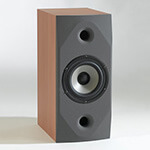 Echelle is Audiodata’s first speaker with bass reflex opening and combines the ideal combination of as many as possible membrane surfaces at acoustically advantageously rounded baffle board edges. Echelle was revised for HIGH END 2002 and the new model was christened Echelle II for better distinction. Carré is as suitable for high calibre and home cinema and multi-channel systems which are perfectly integrated into the living ambiance as it is in combination with a high quality subwoofer as a chic dual channel solution. 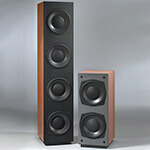 Carré II is equipped with a new coax chassis and a revised frequency crossover. 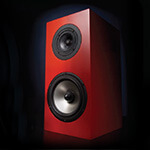 The Cadeau would not have become a classic would it not have been equipped with much subtlety, rhythm and this difficult to describe feeling for music, which characterises only a handful of top performance speakers. 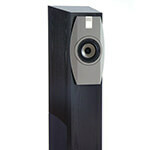 Its timelessly elegant, yet still current silhouette has made this speaker a true classic. Fatigue-free long-term listening and the lack of any effects are qualities the listeners will soon not want to miss. 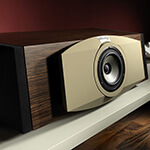 A newly developed dual-coaxial chassis where the complete tweeter is located in the acoustic centre of the midrange speaker, as well as two extremely long-stroke woofers make Avancé an exceptional speaker, which is convincing on all counts. The smaller sister of Avancé, equipped with the same excellent dual-coax system, fascinates in the classic stereo operation by correct timing, homogeneity and spaciousness as well as in the multi-channel operation under different conditions. There are almost no limits to the options provided by Allongé: placed left and right on a sideboard, two Allongé replace a pair of column speakers without compromises and form a stereo system which satisfies the highest demands.